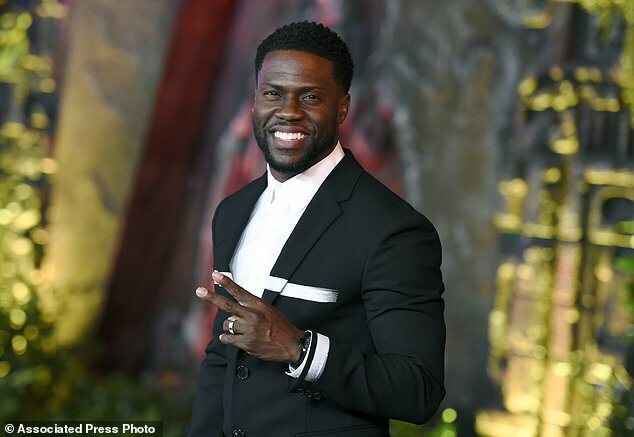 Kevin Hart has stepped down as the host of the 2019 Oscars amid a slew of backlash over years-old homophobic tweets that recently surfaced. Hart responded to the ultimatum in the video asserting that he chose to 'pass on the apology' because he had 'addressed this several times'. Less than two hours later the 39-year-old changed his tune, issuing an apology to the LGBTQ community along with his resignation as Oscars host. 'I just got a call from the Academy and that call basically said, ''Kevin, apologize for your tweets of old or we're going to have to move on and find another host.'' I'm talking about the tweets from 2009 and 2010,'' the 39-year-old said in the Instagram video, which he recorded in Australia where he's currently on The Kevin Hart Irresponsible Tour. 'I chose to pass on the apology. The reason why I passed is because I've addressed this several times. This is not the first time this has come up. I've addressed it. I've spoken on it. I've said where the rights and wrongs were. 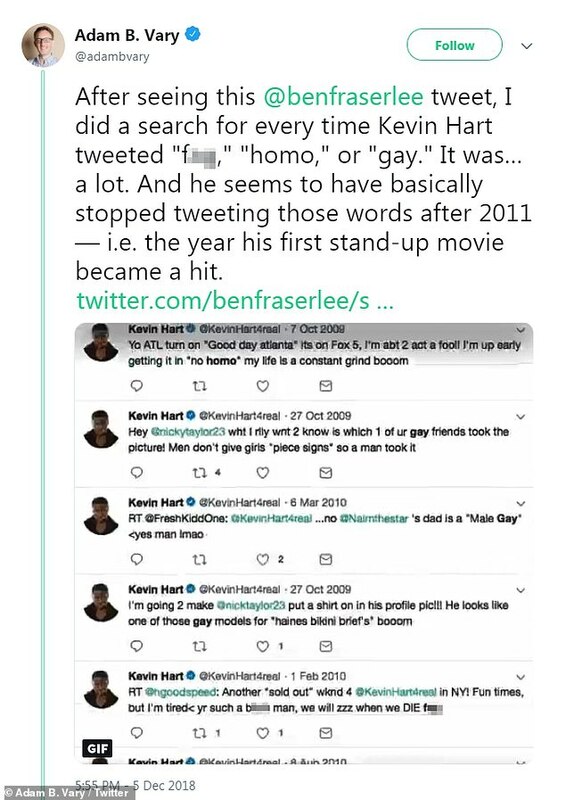 This came after tweets dated from 2009 to 2011 surfaced in which the comedian spewed blatant anti-gay rhetoric. The comedian has since deleted the tweets, but that wasn't before screen captures began circulating online, gaining widespread criticism. Hart's attitudes about homosexuality were also a well-known part of his stand-up act. 'Keep in mind, I'm not homophobic, I have nothing against gay people, do what you want to do, but me, being a heterosexual male, if I can prevent my son from being gay, I will,' Hart said in the routine. Though he refused to apologize for his comments twice, by Thursday night he finally conceded. 'I'm sorry that I hurt people. I am evolving and want to continue to do so. My goal is to bring people together not tear us apart. 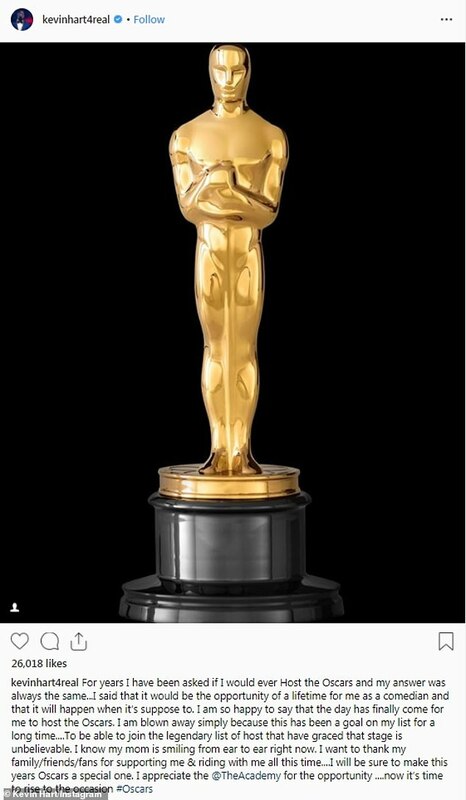 Much love & appreciation to the Academy. I hope we can meet again,' Hart tweeted. Comedian and actor Billy Eichner was among those on social media who were disappointed with Hart's initial response. The film academy on Tuesday announced Hart as host to its February ceremony. 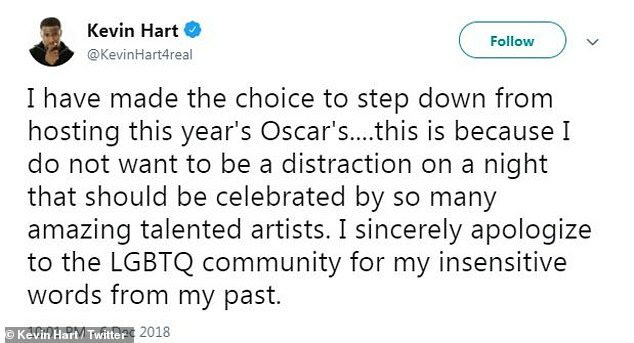 'I am so happy to say that the day has finally come for me to host the Oscars,' Hart said in a heart-felt Instagram post two days ago. It's not the first time an Oscars host has been forced to answer for anti-gay remarks. Ahead of the 2012 Academy Awards, producer Brett Ratner, who had been paired with host Eddie Murphy, resigned days after using a gay slur at a film screening. Murphy soon after exited, as well.